Relief - My Degree is Complete! So, I’ve completed my degree in Digital Technology and Design, in a year. It’s been a hectic but invigorating learning experience, even if it was sometimes a bit rushed! It’s not easy packing 20 hours of learning into a week on top of a full time job. 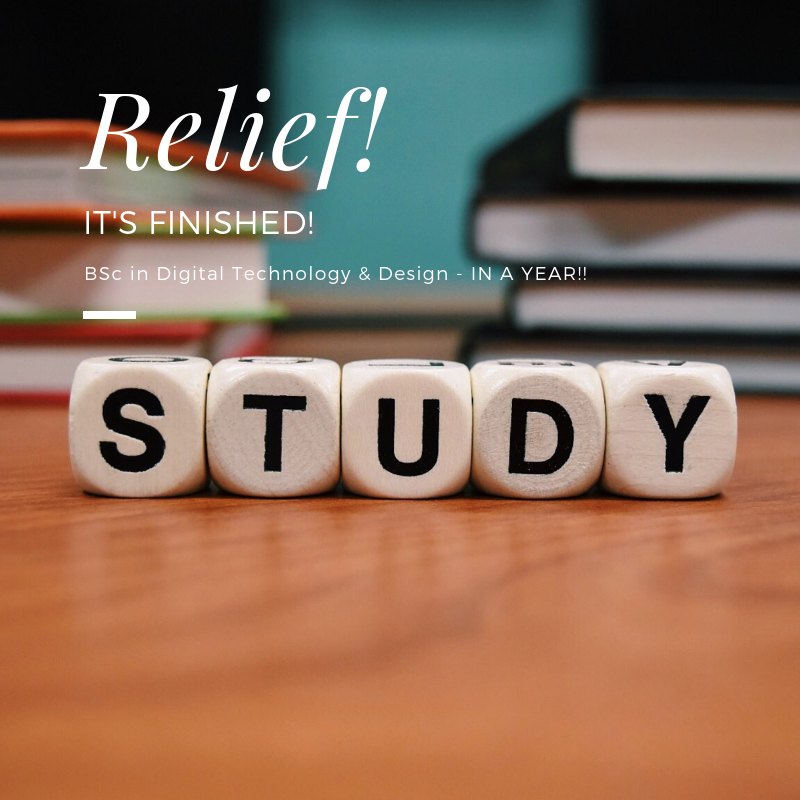 I chose the Marketing and Sales stream of the degree, as I quickly realised that the Design stream covered a lot of what I studied before- photoshop, illustrator and the basics of html and css. The marketing and sales stream really enabled me to really get to grips with digital marketing and the sales module was an eye-opener too. The year allowed me to fully realise what I enjoy, what I am good at and has helped me define where I want to go from here. So, if you are considering going back to college, I would say DO IT! This is the second time I have taken up further study in my 40s and I am already considering what I will study next. It’s fantastic to be learning new, relevant skills and knowledge. It’s good for the brain but also good for my self-confidence as I go out into the world of work more curious and more determined than ever to make my mark! Newer PostNetworking, without the stress! Older PostTime To Get Writing!